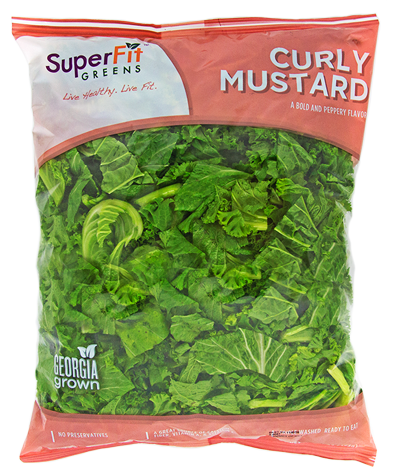 Mustard greens are second only to collard greens and kale in their power to reduce cholesterol. The leafy greens of the mustard plant also contain an amazing amount of vitamin K, a key anti-inflammatory that helps promote bone health. In addition, mustard greens are rich in vitamin A, which is essential for healthy skin and eyesight! Bright green, with a peppery taste, mustard greens have been grown around the world, originating in the Himalayas about 5,000 years ago. Today, they are now known as a traditional Southern food in the US, and are enjoyed throughout the country in a number of unique and enticing dishes. Mustard greens can be sautéed, either with water or broth, for a simple, incredibly healthy side dish. They can also be cooked with olive oil and garlic, to complement their peppery taste.